There is a transformational shift happening in the data-driven organizational world, and the role of the chief data officer (CDO) in it is intriguing. By 2019, most of the sizeable companies are predicted to have a CDO and the role is also becoming better defined. Once seen as a policeman telling companies what they can’t do or priests telling them to stop and sin no more, the role is now moving along a more progressive and prophetic track. Increasingly marking their presence in the C-suite, CDOs are now showing their bosses where the next opportunities, as well as threats, lie. With sales and revenue growth, cost-reduction and efficiency-savings and the need to improve customer intelligence being the top drivers, CDOs need to find new ways of talking to the top. 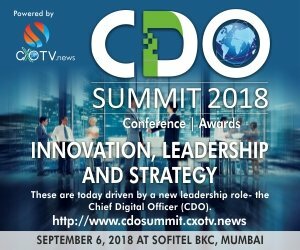 So when did the shift in the role of a CDO start? The change came out of the 2008 financial market meltdown and recent big data breaches, most notably the Cambridge Analytica scandal and the new European Union General Data Protection Regulation (GDPR) requirements are further pushing the role to grow. A CDO’s role is also about stewardship of the company’s data assets. They need to sell the benefits. They need to look for efficiencies, simplify needs, demonstrate cost-benefits, and encourage businesses to be open and transparent.